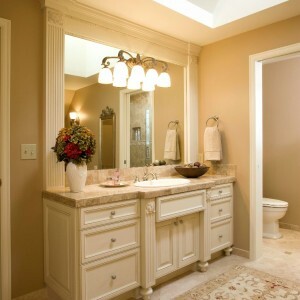 The design criteria involved completely updating materials and improving natural lighting without changing the layout. 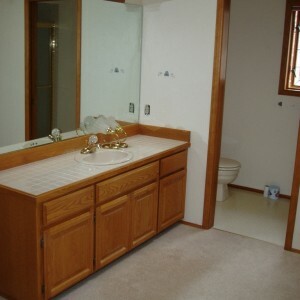 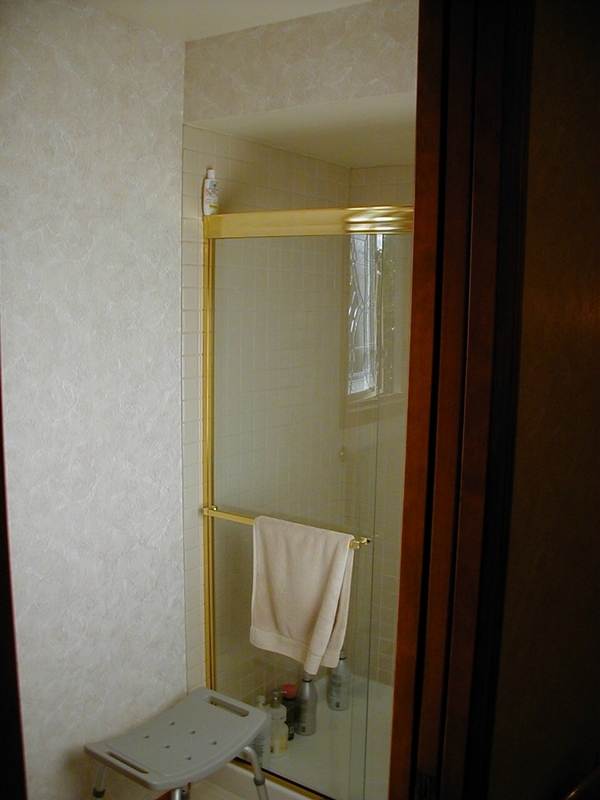 The owner’s physical limitations and inability to stand comfortably required the need to provide seating at her vanity and in the shower. 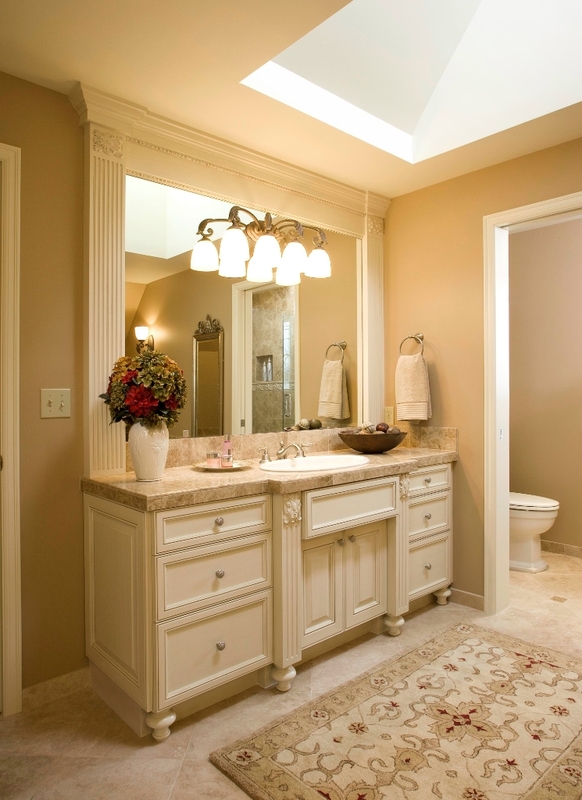 The homeowner’s vision of a Bellagio-style bathroom includes polished marble and travertine tiles, satin nickel plumbing fixtures and Antique Crème painted cabinetry. 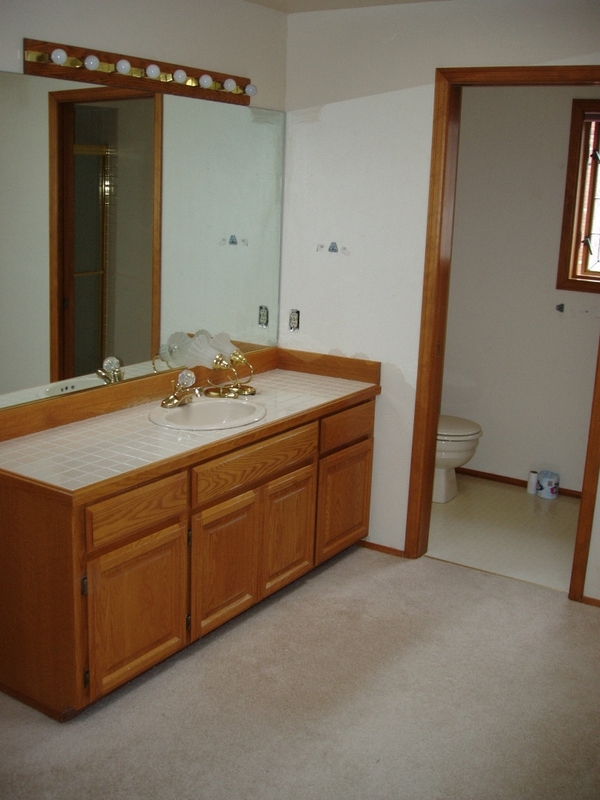 Her vanity was detailed with fluted columns and carvings so that the sink could be brought forward to accommodate a comfortable seated position. 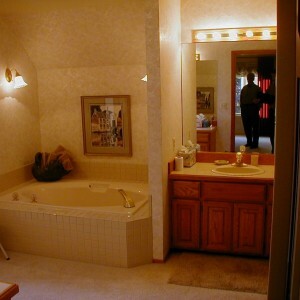 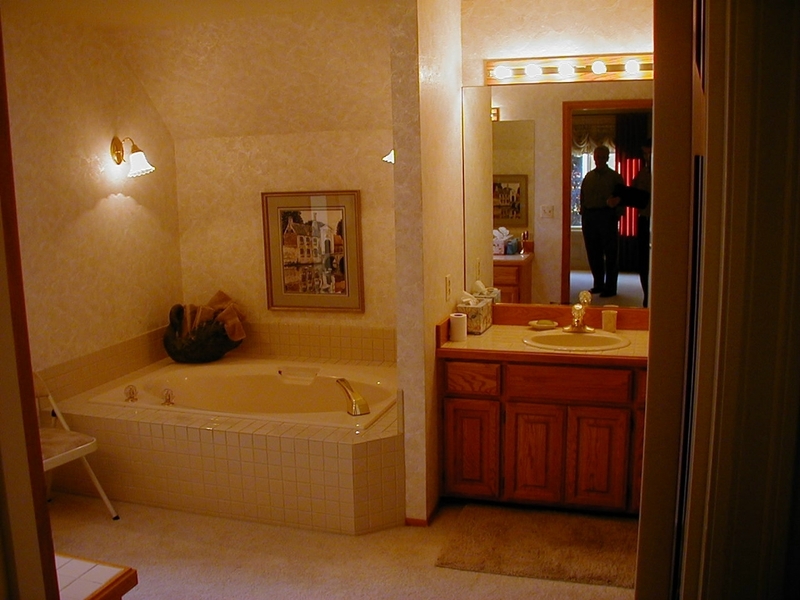 The tub deck was raised from 18 to 24-inches above the floor to afford safer access. 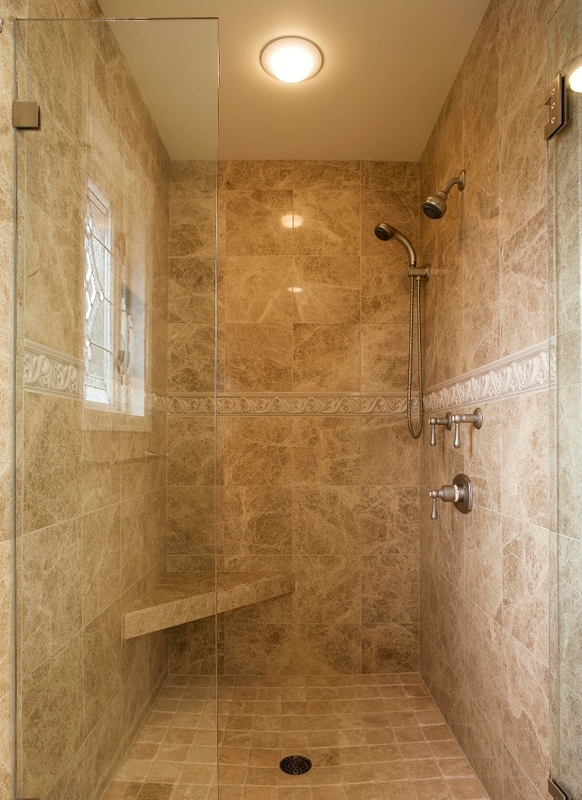 By removing the soffit and increasing the shower depth, the new barrier-free shower is a more comfortable size. 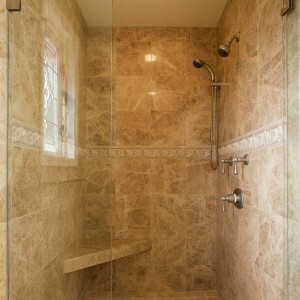 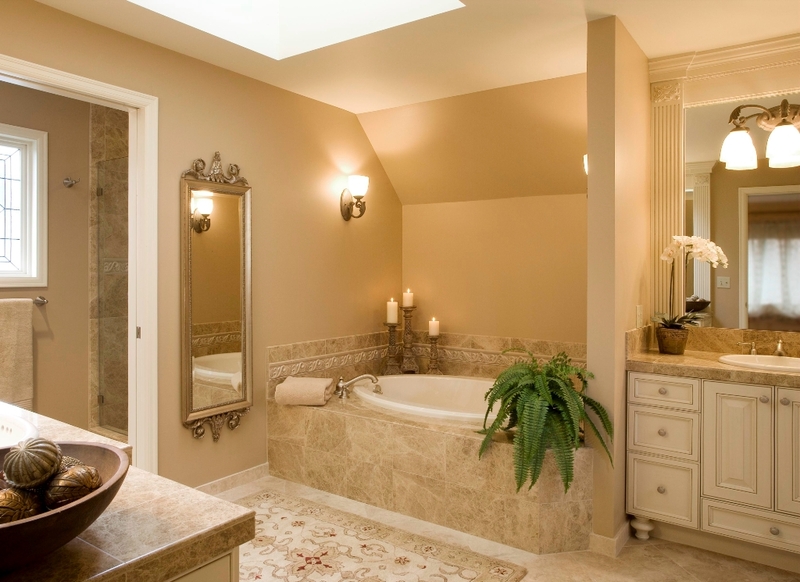 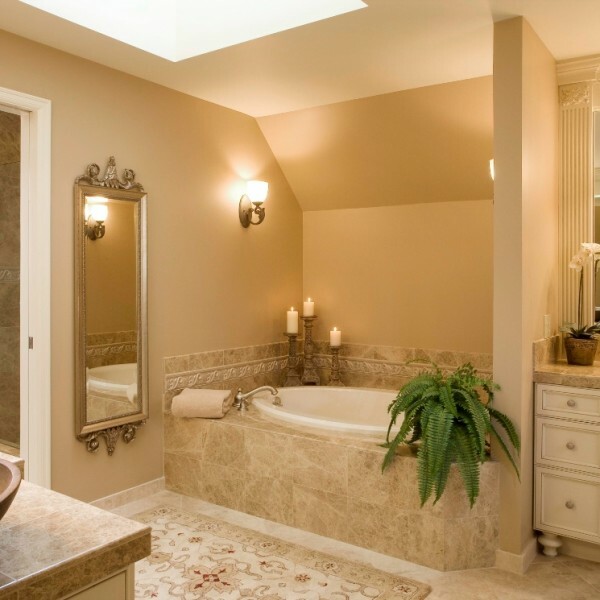 A soap and shampoo niche is neatly placed within the tile pattern. 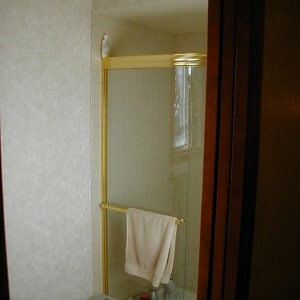 The walls are reinforced for future grab bars, folding seat and a lower handheld shower mount.